BLAST Pro Sao Paulo is going to be the first Astralis appearance on Brazilian soil. So, that is the perfect opportunity for all Astralis fans from Brazil to see their favorite team and eventually take a picture with them. However, Coldzera’s mother is definitely someone you wouldn’t expect to root for Astralis. Watch as MiBr discuss the moment Coldzera’s mother was looking for Astralis. Esports is much different than traditional sports in terms of many things. One of the differences is definitely the relationship between professional players. Of course, there are big rivalries, tension, and other things like in traditional sports. However, the atmosphere in the locker room (gaming room) is much different. Esports players are hanging out much more, and they know each other much better. Of course, you will see tennis players practicing together, and football player hanging out. Nevertheless, they are doing it much less frequently than CS:GO players. Although tactic is a very important part of CS:GO, players do not have a problem with playing with each other on FACEIT servers so often. 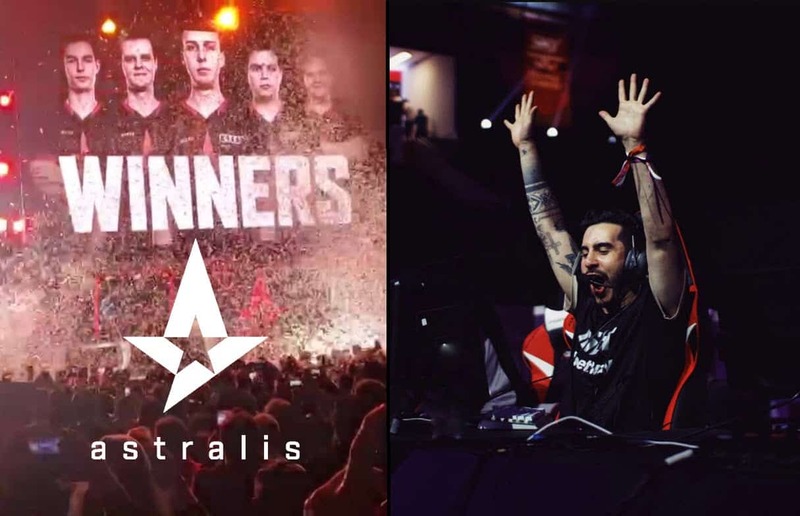 If we are looking for the biggest rivalries in CS:GO, Astralis vs MiBR is definitely near the top of the list. They faced each other so many times in the past and played very dramatic matches. Yet, the mother of the best 2016 and 2017 CS:GO player wanted to take a picture with the Danish team. Frankie Ward interviewed MiBR players and asked them a few questions about their families. She wanted to know if their mothers and fathers are following them and root for them. The captain of the team, FalleN said that coldzera’s mother came to them and that she wanted to take a photo with Astralis. TACO said that he told Gla1ve (Astralis captain) that coldzera’s mother wants to take a photo with them, but he didn’t really believe him. He probably was thinking that TACO was trolling him. So, coldzera’s mother’s wish wasn’t fulfilled. However, this shows us that there is no tension between teams outside of the game. Astralis immediately asked MiBR how do they can set things up to meet coldzera’s mother. BLAST Pro Series Sao Paulo is going to be a special tournament for Brazilian players as all of their parents are going to be present in the venue. They will be able to watch their children and provide them with support. That will be additional energy and motivation for MiBR members to clinch another BLAST Pro Series trophy.